Whether we’re being pummeled by the snow or baked in the sun, Utahns love to get out into the great outdoors. Now, local brewery Uinta (UintaBrewing.com) is looking to complement that lifestyle with a canned beer that’ll keep adventurers safe on the slopes. 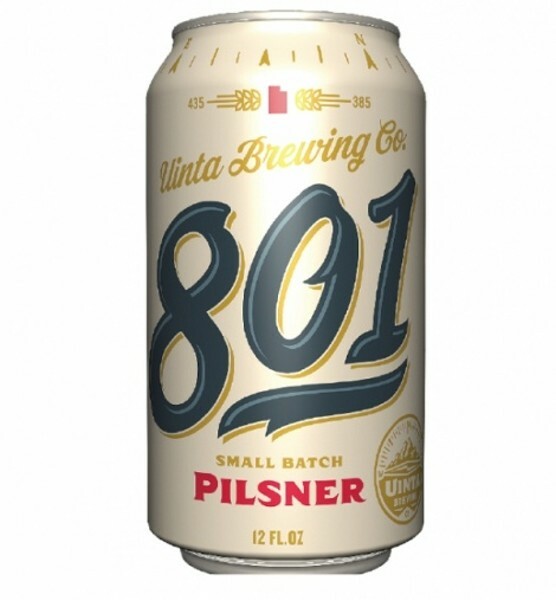 Uinta’s 801 Pilsner is a new small-batch offering—a German-style Pilsner that’ll be on tap and in cans starting in July. A portion of the proceeds from the 801 Pilsner will go to help nonprofits such as the Utah Avalanche Center, which provides the tools that people need to stay alive and have fun in avalanche terrain. Wasatch Brewpub, which opened in 1989, is Utah’s original craft brewery and helped usher in the craft-beer movement here in Utah. It’s been a staple in northern Utah, hanging on to its unique style and flavors at its perch on Park City’s Main Street (435-649-0900, WasatchBeers.com). Now, there’s a second Wasatch Brewpub coming to the Sugar House area, on Highland Drive just south of 2100 South. The pub will have its own pilot brew system, with added space for barrel-aging beer, and is slated to open in the fall. Bohemian Brewery (94 E. 7200 South, Midvale, 801-566-5474, BohemianBrewery.com) has been making Old World beers in Utah for the past 13 years. The brewery has never strayed from its classic European roots, keeping a strict adherence to the German Beer Purity Law—the Reinheitsgebot—which requires that the only ingredients used for brewing beer should be water, barley and hops. Bohemian is now breaking out of grocery stores and into the liquor stores with two high-point beers: Export Lager and the Altus Altbier, both based on classic German styles. Look for them in mid-July. Prost!